Raymond Lin is the Senior Director, Consulting, Taiwan. He is responsible for the strategic direction, operation, and development of the consulting and appraisal service lines. 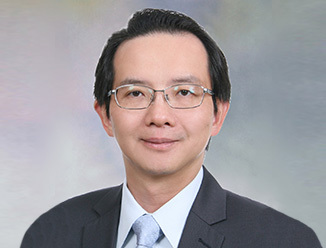 In his eight years with CBRE, Mr. Lin has completed many large assignments and earned his reputation among international and local clients in the market. Mr. Lin plays an active role providing management advisory and real estate consultancy to public sector clients. With over 20 years working experience within the real estate life-cycle from feasibility studies, investment & development strategy building, to design & construction management, plus international certifications in CCIM and PMP, Mr. Lin provides clients with independent recommendations on mid and long term projects to help clients maintain a competitive edge in a growing and changing market.